To clarify, the new standard for Mountain Climbers is to jump leg from extended and straight behind you, to contacting the elbow in the forward part of this motion. I thought I had a terrific demo of this recorded, but it turns out I only took a photo. We will get a vid up tomorrow. We are very excited for this new challenge. Seems like we are way overdue. For those of you who are joining, please post your intentions to do so ASAP. I've gotten emails from folks all over the Nation (even around the globe) who said they are participating! Thank you all in advance for the inspiration. Ours is a unique community. We all move forward when we do so together. I look forward to reading your posts. Beginning Monday Oct. 29 we issue this challenge to those who need to clean up their eating, become more committed to exercise and improve health. You may eat NO ADDED SUGAR - no white sugar, no brown sugar, no high fructose corn syrup (you'll have to check labels for this sneaky beast). Honey and agave are ok. Unprocessed fruits are OK. You can have Splenda and Asptartame, but why the H would you want to? Basically, anything that is a sugary sweet eaten for pleasure alone is off limits. Just until Thanksgiving day. You must complete 5 GPP workouts per week PLUS three extra 30 minute cardio sessions per week. Comply strictly with a GPP meal plan. Get 6-8 hours of sleep per night. 50 extra burpees per day. 5 servings of fruits + 5 servings of vegetables per day. Eat .9 g of lean protein per lb of lean body weight daily. Eat healthy & correct portions of breakfast/lunch/dinner. You must commit to, and define your intention to complete the challenge to comments. You must post daily results of your challenge to comments. There are penalties for not following through. Each time you miss a workout, indulge in a sugary treat, or mess up on your personal goal (your observable, measurable & repeatable one) you are to pay $1, or 1 can of food for every offense! Strictly enforced by HONOR. These are to be dropped off at GPP HQ. Questions or exceptions are to be voted upon by those in the challenge. Majority rules! All of the money raised and food items collected will be donated to the Bountiful Food Pantry. Challenge ends at midnight, Nov. 21st. We invite anyone looking to get a healthy jump on this holiday season to participate! We look forward to your successful daily posts! 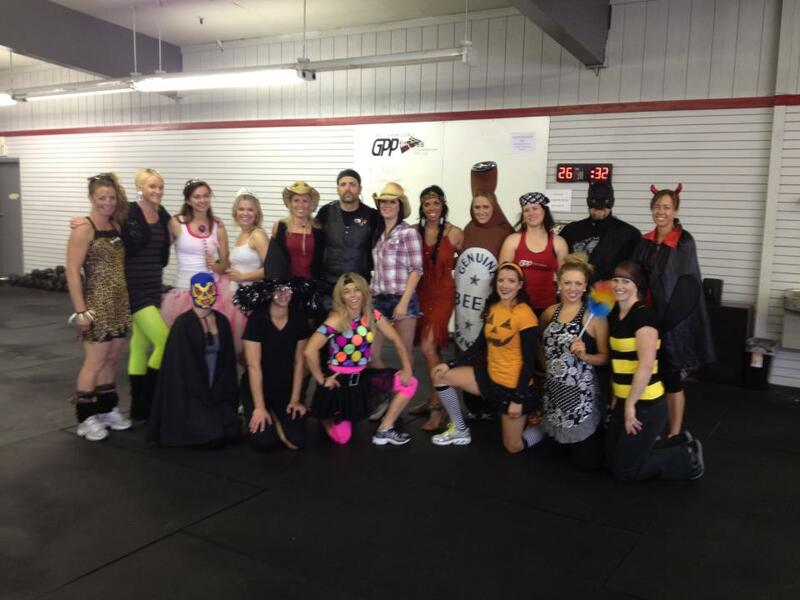 It is a mandatory 50 burpee penalty to show up on Wednesday without a costume to storm in!